Reigning National Premier Leagues NSW Men’s Premiers and Champions Sydney Olympic have continued their recruitment for the 2019 season with the announcement of the Gaitatzis brothers Harris and Michael for the new year. Harris returns to the club after spending some time with rivals Rockdale City Suns where he continued to be one of the competitions most skilful players, while Michael returns after a stint with National Premier Leagues 3 NSW Men’s side Gladesville Ryde Magic where he took out both the Player of the Year and Golden Boot awards. Blues Head Coach Abbas Saad was delighted with the signing of both brothers. “They are quality players that will add further ammunition to our teams attacking philosophy. “I have been impressed by how hungry both boys are to join our squad and make the most of their move back to Olympic, they will be a good fit and provide increased depth and options to our squad, it is great to have them back”. “Olympic has always been a club I have held close to my heart and after a few years away, I’m excited to be coming back to play some quality football, with a great group of guys, stated Harris. “I know we are going to have a strong season and I’m very much looking forward to wearing the blue and white jersey again” he added. Michael equally was also anticipating the new season.  Sydney Olympic will commence its pre-season preparations on Monday 12th of November. National Premier Leagues NSW Men’s Premiers and Champions Sydney Olympic FC announced the re-signing of 16 players from its 2018 Championship winning squad for the 2019 season. In 2018, the squad enjoyed a very successful season winning both the NPL NSW Men’s Premiership and Championship and to retain a large majority of the squad is a huge boost for the club and its fans. The likes of Spanish sensation Alejandro Sanchez Lopez, club skipper Jason Madonis, veteran shotstopper Paul Henderson as well as long serving club player Will Angel all penned new deals with the Blues. As did Hagi Gligor, Jinya An, Nikola Kuleski, Darcy Burgess, Jake De Marigny, Bill Patramanis, Nik Tsattalios, Radovan Pavicevic, Riley Woodcock, Thomas Whiteside, Zach Mackenzie, Ezequiel Consoni will also don the Olympic jersey in season 2019. Head Coach Abbas Saad was happy to see the majority of his squad sign up for the new year. “Our squad has a great mix of youth and experience and to be able to retain the core of our squad is testimony to how hungry we all are to maintain the momentum of last season and be better again”. “The exceptional talent, effort and dedication these players demonstrated in 2018 made it a very easy decision to retain them”. “We have celebrated the success of last season and understand this season is a fresh start and we need to work hard to ensure we do the very best for this great club and our fans”. While Sydney Olympic CEO John Boulous was equally delighted with the announcement. “Our club has a very clear philosophy to develop and support players by creating an environment and culture for them to reach their potential. This is evident by the recent departure of Max Burgess to the Wellington Phoenix, as well as George Timotheou to Bundasliga giants FC Schalke 04 in July”. “In the coming week we will be announcing some new signings that will compliment these retained players and round off our squad for the 2019 season”. The squad will commence pre-season training in mid-November.